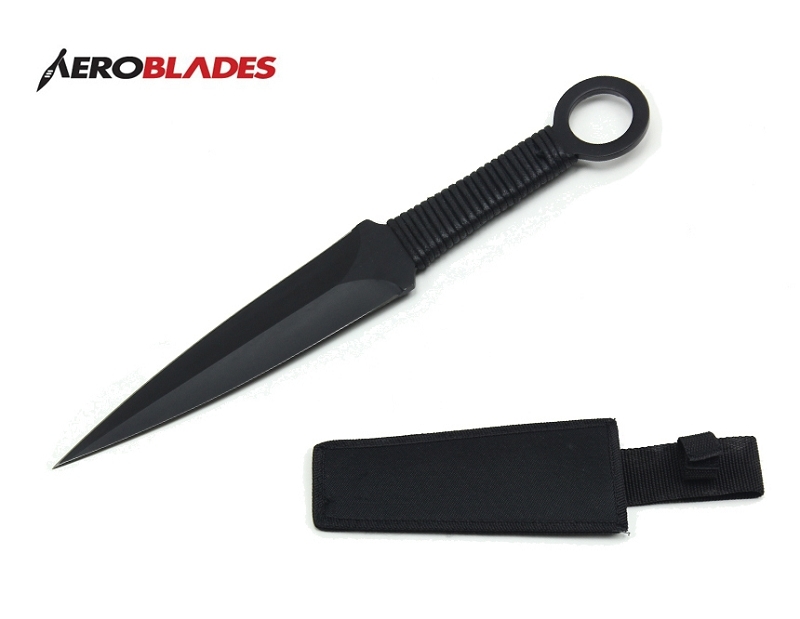 Home > Throwing Knives For Sale > SINGLE PIECE Aeroblades Black Thrower Kunai Ninja Throwing Knife with Cord Wrapped Handle & Sheath 12"
SINGLE PIECE 12" Aeroblades Black Thrower Kunai Ninja Throwing Knife with Cord Wrapped Handle & Sheath. Skill level is for intermediate to advanced. 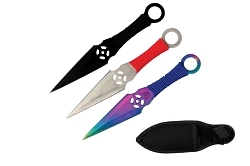 This knife is quite a bit heavier than most throwers. This is a very good thrower. 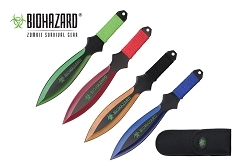 Stainless steel blades and cord wrapped handles. 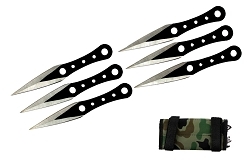 6 Pcs 6.5 Two Toned Bladed Black Throwing Knife Set With Camo Carrying Case.